Freedom is a precious gift from God. May we always remain independent. Svatantrata Divasa! Let every patriot be honored; Don't let politics get in the way. Without them, freedom would have died; What they did, we can't repay. Happy Independence Day! Let's rejoice in happiness and celebration. Saluting the member of those who made us free and sing praise in their admiration. Let's make them our inspiration. Freedom in our minds, freedom in our words, pride in our souls and salute to our nation! Happy Independence Day India! Vande Mataram, Jai Hind! In the process of being free there are certain things an individual must do to unbound the chains of life. Some may recommend living life freely with no concerns or cares in the world, and some may think of it as a selfish and immature life, nevertheless being free is a life that many choose to live. When someone is being free and living as freely as possible they make decisions on their own no matter what the consequence may be. Those who live life freely also don’t blame anyone else but their selves for the choices that they make because they solely made these decisions. Being free also makes a person own up to the choices that they make and have made in the past, and require them to accept responsibility for the direction that their life is headed in. 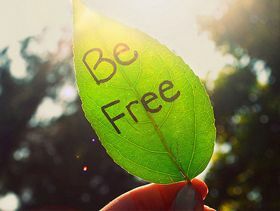 Being free can also be defined as someone who is becoming or who is already free in their mind, even though it may seem as though they aren’t completely free physically.